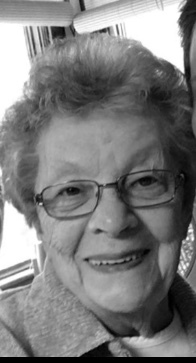 Mrs. Mary Ann Winkelman, 90, of 5871 State Route 167, Town of Manheim, died Sunday August 5, 2018 at Bassett Medical Center in Cooperstown after a brief illness. She was born in Little Falls, on January 26, 1928, the daughter of Howard E. and Edith (Rossiter) Austin and was a graduate of Dolgeville High School, class of 1945. Her marriage to Robert V. Winkelman took place on October 12, 1949 in St. Bridget’s Church in Salisbury. Mr. Winkelman predeceased her on December 11, 1998. Mary Ann was formerly employed by the Daniel Green Company of Dolgeville as a shipping clerk, retiring several years ago. In addition to working there she was also employed at Lyons Greenhouse, and the Dolgeville 5-10 Store. She was a member of St. Joseph’s Church and her personal interest were in Ceramics, needle point, and she was computer savvy. She was also a member of various ladies Bowling teams, in the area. Surviving are her sons, Michael and his wife Donna Winkelman of South Glenns Falls, and Mark Winkelman of Ilion, her grandchildren Scott (Amanda), Jaime, Michayla and Ryan, her great grandchildren Summer, Braydon and Kyria, a former daughter in law Ida Polenski, several nieces and nephews, and members of the Grose Family. A Funeral Mass will be offered on Thursday August, 9, 2018 at 11:00 AM at St. Joseph’s Church, Helmer Avenue Dolgeville. Burial will follow in St. Bridget’s Cemetery, Salisbury. Calling hours are on Wednesday from 4-6 PM at the Roberts Funeral Home 3 Faville Avenue Dolgeville. 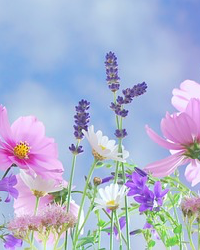 In lieu of flowers, memorials may be made to Catholic Charities 61 West Street Ilion, NY 13357 or to the Herkimer County Humane Society PO Box 73 Mohawk, New York 13407. A message of sympathy or a remembrance of Mary Ann may be sent to the family at www.robertsfuneralcare.com.